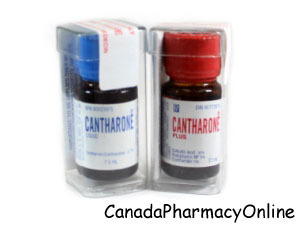 Cantharone (Cantharidin) is a blistering solution that is used to treat skin viruses like warts. This medication should always be applied by your doctor or dermatologist as this medication may harm you if not used correctly. Cantharone is used to remove common warts that are usually around the nails, on the fingers and on the back of the hands, foot warts that are on the sole of the feet and are called plantar warts and flat warts. Flat warts are usually common in children; they grow in numbers from 20-100 at a time. In adult males they are mostly found around the beard and in women, it is on the legs in women; it is said shaving is common cause for flat warts. Cantharone works by forming a blister underneath the wart with 24 hours after the application. The formation of the blister kills the wart by cutting off its blood supply. Common side effects are topical and are expected after the medication is applied. Do not use Cantharone if growth or surrounding tissue is inflamed or irritated. This medication should not be used by pregnant or breast-feeding women. Do not use this medication if you are planning to get pregnant. A follow-up appointment with your doctor is a key part of your treatment and safety. Please make sure you go to all your appointments, and contact your doctor if you have any problems. 1. Will it hurt when the doctor uses Cantharone to remove my wart? Answer: The Cantharidin treatment is not painful but the blistering can be painful. 2. Will the treatment with Cantharidin leave a scar on my skin? Answer: No, there can be a temporary loss of normal pigmentation but no scaring.